All product photos and commentary by Paul Knorr. If you have a liquor, liqueur, or mixer that you would like to have reviewed, please send a sample, along with any press or marketing materials to the address above. Made from 100% grain neutral spirits and charcoal filtered, Red Army Vodka has no detectable scent other than the alcohol. 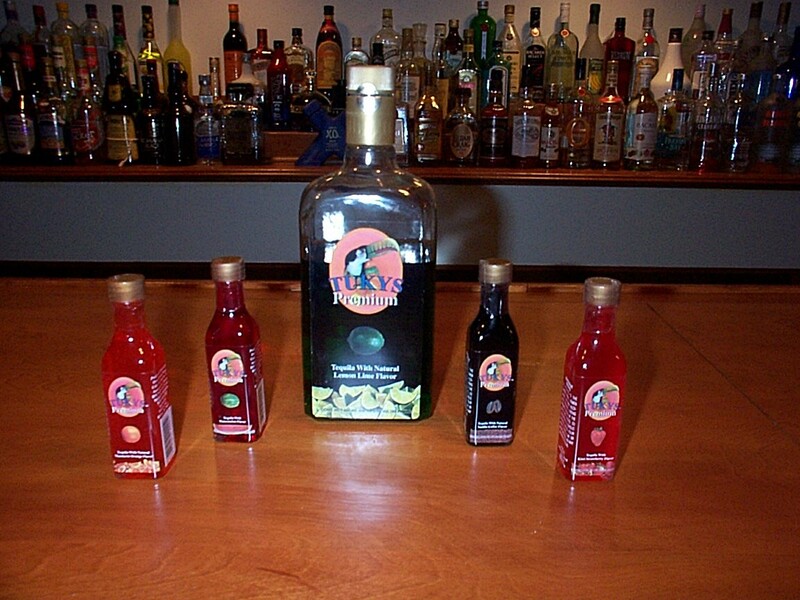 The vodka also has very little flavor as a neutral vodka should. What flavor it does have consists of a hint of toasted grains. 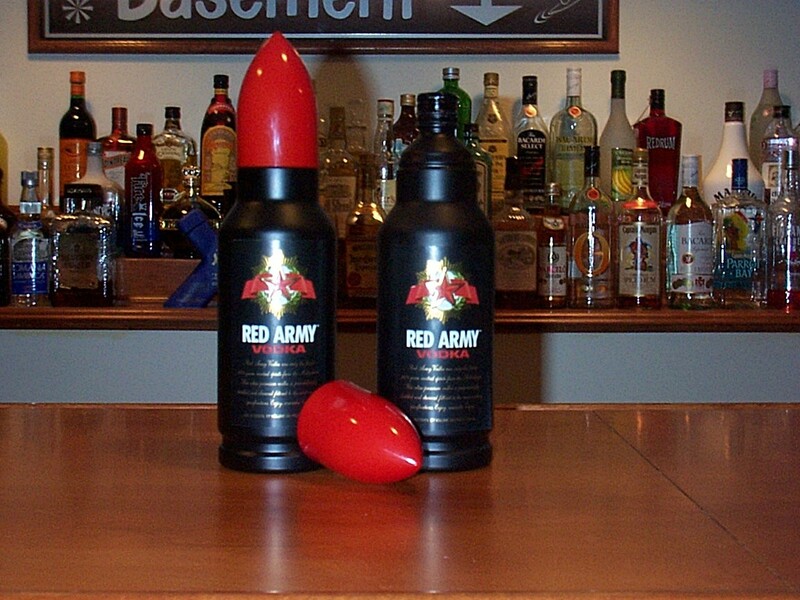 The packaging of the Vodka is unique with a bottle shaped like an artillery shell with a black glass body and a red plastic decorative cap that comes off to reveal a traditional screw top. Red Army Vodka is great for drinks that use vodka as a base but do not require the character of the vodka to stand out. I would recommend it for black and white russians, screwdrivers, etc, but not for a vodka martini. 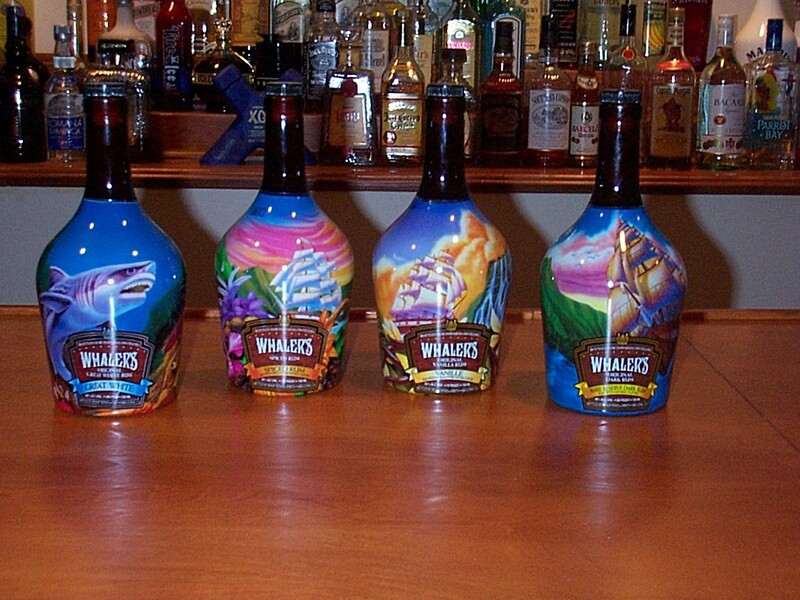 Whaler's has a line of 4 distinctive rums from Hawaii - Vanille, Great White, Rare Resever and Spiced. As of this writing, the line has expanded. See their web site for information on their new flavors. Whalers rums are attractively packaged in brown glass bottles with a cork top. Each bottle has a shrink fitted plastic labeling sleeve with a beautiful tropical scene. A set of these bottles makes an interesting and attractive display on any top shelf. Vanille - When I was little, I used to love the smell of the vanilla extract that my mom would use when baking. She finally let me taste it and that ended that obsession (as my mom knew it would). Here is a rum that brings back the scent of vanilla extract, with a flavor as good as it smells. Pronounced "van-ee" this rum is blended with natural Hawaiian vanilla to produce an extremely smooth rum with a light amber color and a flavor like white icing but not as sweet. This vanilla rum is perfect with ginger ale or with tonic and lime. Great White - This white rum has a sugarry smell like powdered sugar with hints of vanilla. It has a strong bite when sipped straight but is perfect for mixing in Daiquiris and in a rum and coke. Rare Reserve Dark Rum - A deep golden amber rum with scents of brown sugar and caramel and a hint of vanilla. This dark rum is not as dark or sweet as Goslings or Bacardi Select. Rare Reserve has a deep brown sugar flavor with tropical overtones and is excellent for sipping with tonic and lime or in a Mai Tai. Spiced - The scent of this rum hits you like the spice aisle at the supermarket. There are strong cinnamon and nutmeg aromas but the rum is much more complex than that. This is a true spiced rum with little of the vanilla flavor that overpowers other spiced rums. This rum is perfect in any drink that uses rum or sipped straight on the rocks with a wedge of lime. Of course there is a strong lemon scent to Villa Massa's Limoncello - what else would you expect from a liquor made from native Italian green lemons, neutral alcohol and pure sugar? The best thing about Villa Massa is that it not as overwhelmingly sweet as some Limoncellos can be. 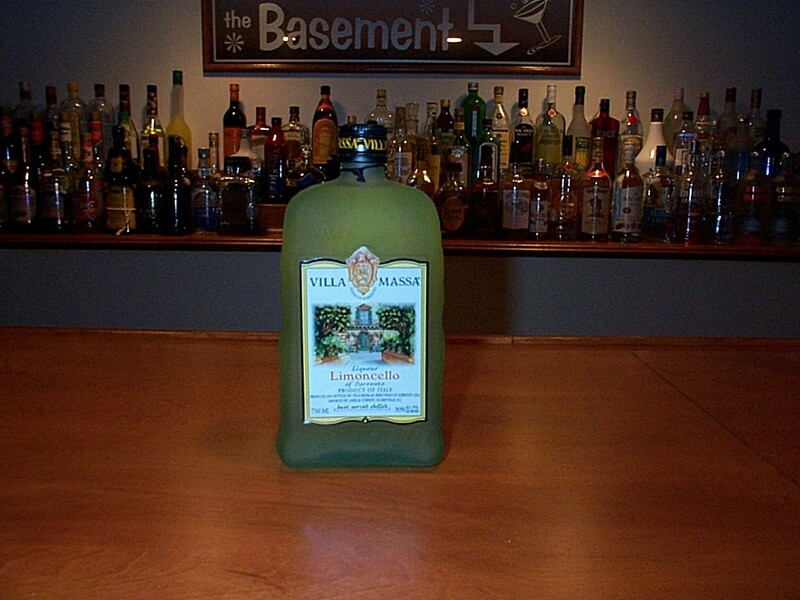 Instead of tasting like oversweeted lemonade, Villa Massa tastes like a delicate Italian Ice. Villa Massa's light green color comes from the green lemons used to make it.